To listen to Preoccupations is to plunge into arrangements that are more enigmatic the deeper you go. Though Preoccupations’ third LP New Material is the most listenable in their discography, it reveals a labyrinthine sound. Since name change and subsequent eponymous album, they have moved away from the dissonance that characterized Viet Cong while maintaining the essence of what makes their music compelling: each layer of sound obscures the next. The album opens with echoing percussion, indistinguishably patterned yet not quite arrhythmic. While it is decidedly more subtle than the unyielding pummel of Viet Cong opener “Newspaper Spoons,” it proves Preoccupations’ commitment to percussive experimentation, whether by way of Mike Wallace’s brilliant drum work or Munro’s synth. Espionage is driven by a new wave melody. It struck me at first listen as far removed from the post-punk guitar and bass work for which the band first gained acclaim. However, the post-punk elements are still present are the song’s core. Flegel’s lyrical prepossession with technological determinism gives into a sense of futility that leans towards nihilism. OnDisarray, he sings, “Everything you’ve ever been told is a lie.” Manipulation bears the weight of its subject. It trudges towards a final cry, “Please don’t remember me like I always remember you.” Not to be overlooked is the subtle build-up of Wallace’s drum roll. While Antidote is the best representation of Preoccupations’ style on New Material, “Solace” is the most successful marriage of the band’s old and new style. The former layers rolling drum patterns and distinct bass with effervescent synth. I’m reminded of “Ricochet” by David Bowie, though Flegel’s bass work darkens the mood to better suit the lyrics. The uptempo of Antidote is at odds with the hopelessness of its lyrics: “Whether we asked for it or not, to live is to suffer.” With bellows and clanking in its latter half, “Antidote” moves from post-punk to art rock. Flegel sings as if from the depth of an ocean. Blame it on my bias toward their earlier work, but I’d call ” Solace” the maturation of the Viet Cong style. To hear Munro’s guitar and Flegel’s bass distinctly, enhanced but not overpowered by synth, is immensely satisfying. While penultimate track “Doubt” matches and exceeds Manipulation in its desolation, it has a gravitas previously unheard in the band’s catalogue. If Antidote is reminiscent of Let’s Dance era Bowie, “Doubt” has the weight of Blackstar with a tone more sinister than melancholy. Flegel’s voice reverberates in whispers of “Multiply” before it fades into instrumental Compliance. If ever one was to doubt the calibre of Preoccupations’ musicianship, Compliance proves that any such doubts are unfounded. It’s a departure from anything they have recorded previously, darkly industrial. The sound is vast. But for distinct percussion, each instrument melds with the others. It’s enigmatic, evocative and indicative of the depths to which Preoccupations can take their music. New Material is available through Bandcamp, Spotify and Apple Music. It was Mensa’s intention from the outset to speak candidly about his self destructive tendencies on “Wings,” his collaboration with Pharrell Williams and Saul Williams. It is an unflinching look at depression, infrequently depicted in hip hop. “I knew I needed to make a song like that, something that spoke about those things in my life. And so I tried a couple times and when I ended up getting with Pharrell that day, it just clicked. The lyrics kind of just wrote themselves,” he says. This article was originally published in BeatRoute Magazine. Darkness fell on North Melbourne’s Meat Market before DMA’S arrived on stage. The show opened with Tommy O’Dell’s distinct vocals and Johnny Took’s acoustic guitar on the quiet opening of “So We Know”. At the song’s crescendo, guitarist and backing vocalist Matt Mason and the three members of DMA’S touring band joined to complete “So We Know” in a fully lit stage. With the whole band assembled, they played “Feels Like 37”, a favourite from their eponymous EP. Clad in a white turtleneck and a panel cap, O’Dell looked like the epitome of dad style rather than the frontman of a band that received international acclaim for its cover of Cher’s “Believe” on Triple J. While O’Dell kept his stage banter to a minimum, the Sydney band seemed at home in Melbourne, graciously thanking the audience between songs. I hadn’t known what kind of energy to expect prior to the show, not the least because DMA’s is better known for emotive acoustic tracks than for stadium bangers. Songs like “Too Soon” proved that DMA’S live shows are well capable of commanding a room and invigorating an audience. With an album forthcoming, it’s inevitable that DMA’S would play a few new songs. With Took’s guitar prominent at its outset, the new song sounded more country than rock. As is often the case when a band debuts tracks, the crowd was less engaged than when DMA’S played fan favourites. Within a few notes from the start of “Melbourne,” the energy level surged again. Though I wouldn’t consider “Melbourne” a standout on the stellar album Hills End, the audience responded with enthusiasm for the song named for their city. “Timeless” showcased the band’s instrumental synergy. The song had a richness and depth that exceeded its recorded version. While Mason took the vocal lead in the latter half of the song, O’Dell interacted with the audience. In contrast with his reserved addresses to the audience between songs, he was physically commanding during. He spread his arms to the hundred of hands stretched out before him. “In the Moment,” too, was an instrumental standout with dissonant guitar coupled with Took’s prominent acoustic. The sound faded into the quiet opening verses of acclaimed single “Delete”. The band was silhouetted on a dark stage until a burst of light met the song’s euphoric final chorus. DMA’S latest single “Dawning”, the lead for their forthcoming album, made a fitting follow up to the band’s early single “Delete”. Though it had only been released a month prior, it was met with enthusiasm. “Step Up the Morphine” became a singalong that created a community out of the Meat Market. “Laced” faded to dissonance to close the first part of the show. The band returned for “Play It Out”. As the closing track on Hills End, it made a fitting encore. While it’s not as well known or catchy as some of DMA’S singles, it’s an instrumental standout in their discography and their live show. The band’s most famous track “Lay Down”. was the perfect choice to close the show. After one last final dance and singalong, DMA’s bid their audience farewell. From their musicianship to their energy level, DMA’s exceeded all of my expectations. This review was originally posted on Savage Thrills. Whether she is rapping, singing or performing spoken word, JB the First Lady‘s smooth vocals and agile flow make her a captivating storyteller. 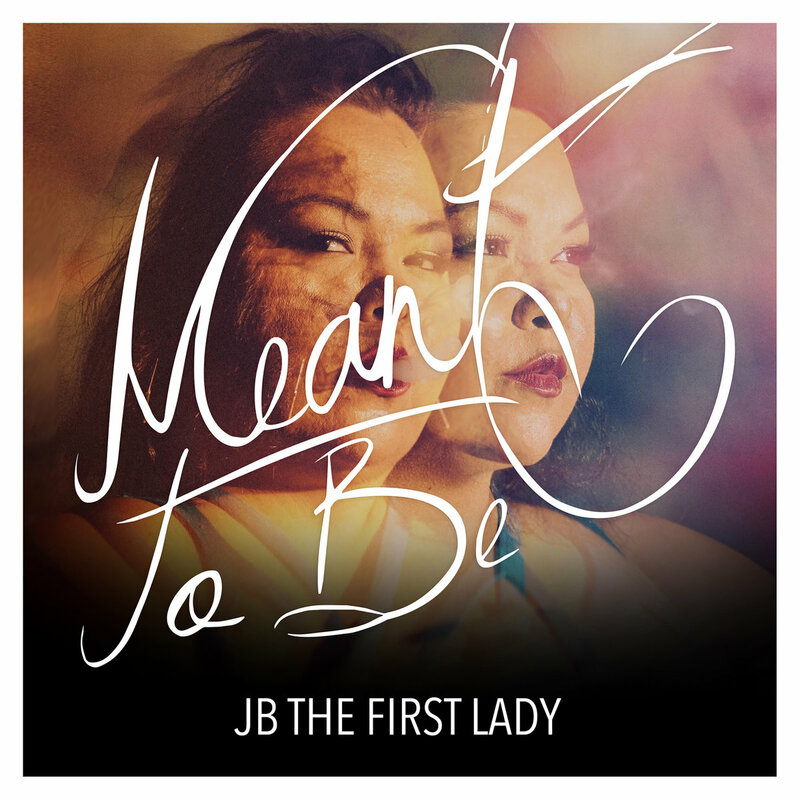 On her fourth album, Meant to Be, JB the First Lady — the pseudonym of Jerilynn Webster —furthers her mission to create music that is both positive, personal and political. This review was originally published in the November 2017 issue of Discorder Magazine. Chad VanGaalen’s myriad artistic vision is manifested in his music and visual art. Residing in Calgary, Alberta, he is a multi-instrumentalist who plays and produces all the music he records. His recently released sixth album, Light Information, is an immersive musical experience. Since the release of his first album, Infiniheart, VanGaalen says, “My studio has changed, my mind has changed, my gear has changed.” Across his discography he says, “Each album will have a similarity because it’s my work but what I sing about will change.” Whether creating music or visual art VanGaalen says, “Everything connects because it’s created from my mind.” This is especially apparent in the animation he did for “Pine and Clover,” in which the two main characters transform together in a show intimacy or perhaps solidarity. Though the sounds and images initially seem as thought they are in stark contrast, the visual shifts are in keeping with the tonal variation within the song. While his arts work in tandem, he says they all require different approaches. “[In] music it’s more difficult to convey the end product quickly because the nature of the medium needs to be assembled more delicately and takes much more time to achieve the end result. There are more moving parts to making a song [whereas] I can draw an image pretty much right away and you can see the end result much faster.” Moving parts is an apt description for VanGaalen’s song composition. How he begins his composition process “is different for every song,” though he admits his voice is the instrument with which he is most comfortable. Throughout his six albums VanGaalen delves into themes of “feeling integrated with nature.” He asks, “What is natural? Why?” and explores these concepts on tracks like sunny, jangling “Golden Oceans.” On “Host Body,” he couples spaced out synth with a science fiction narrative. Lead single “Old Heads” is about technological obsolescence with an upbeat melody and reverberating vocals at odds with the disconcerting image of replacing old heads with new ones. As rich as the narratives and imagery on Light Information are, VanGaalen calls atmospheric instrumental “Pre-Piano / 770” his favourite track and style of song to create. Rather than create narrative through direct lyricism, he tells an evocative story through tolling bells and dissonant synthesizers. VanGaalen is touring throughout Europe in October, with a Vancouver stop in November to open his North American tour. At this stage in his career he says, “Live shows are great. I feel totally comfortable and free on stage, finally.” Though he plays all the instruments on his albums, he plays live with a full band. He says of his band, “These are the same friends I have been playing with for over a decade, they tour with me and are some of the best people I know.” After more than a decade of touring, his live shows still engage his audiences. On his albums and in his live shows and visual art, the alternate universe VanGaalen creates continues to captivate.